Mobile devices have become a part of our everyday lives and have made significant impact in many industries including healthcare. At eclipse, we are excited by the opportunities that mobile technology brings to data collection, electronic source, patient safety and overall patient engagement. 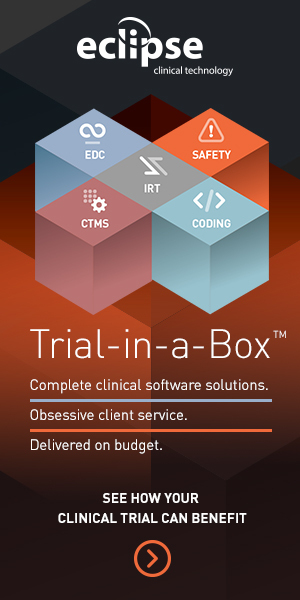 With a long history of leveraging leading software and technology for the conduct of clinical trials, eclipse is pleased to deliver these same capabilities via the leading mobile platforms. Mobile health technology has the promise to significantly reduce the cost and time required for conducting clinical trials. We’ve started with logical extensions of the products already supporting clinical trials. apps, and eclipse simply implements in a 21 CFR Part 11 compliant manner. Eclipse Mobile provides an intuitive and flexible platform to integrate patient entries into clinical data management systems. Eclipse Mobile helps achieve protocol objectives while allowing investigators and researchers to monitor patient compliance in real-time. The immediate access to patient events enables expeditious response to safety issues, compliance concerns, and immediate intervention for notable contraindications. Patient responses on mobile devices are accessible by site personnel via a web version of the application or on their own mobile devices as well. Eclipse Mobile may be used on either Apple or Android smart phones or tablets. Each day the patient can analyze and review all of their entries prior to transmission on a “Daily Events” screen where patient events are collected and displayed. All transmitted data is encrypted during transmission, and no data is stored on the devices themselves. Data is only stored in the cloud and accessible to the study team through the web version of the application, or on the coordinators own device. Compliance and safety issues can be discussed via messaging through the app, using masked patient identifiers to protect the privacy of the patient. Eclipse Mobile can be used to track responses to medical episodes, diet, exercise, and medication consumption. Eclipse Mobile may also be leveraged for Patient Reported Outcomes. The platform permits questionnaires, scales and diagrams to elicit response from the patient at designated points during a clinical trial. Examples include Rating Scales, Patient Reported Outcomes, and Clinical Reported Outcomes. Eclipse provides support and or provisioning to sites all over the world including international shipping and logistics, data transmission for international remote sites, and language support throughout. There are many factors in choosing a new mobile system and we talked about quite a few of them here. If you would like to explore your mobile software options further please schedule a consultation with one of our mobile experts.